While cycling to work I found someones keys on the road, the responsible thing I thought would be to pick the keys up and try to get them to their rightful owner and thats what the good Samaritan in me did. Luckily one of the keys had a serial number and the manufacturers name. I called the company and told them I found a set of keys and one of them is made by you and had this and this serial number. The person I talked to on the phone thanked me and said the owner would call me. The guy called me in the afternoon, I asked him to describe the keys and he did that, then I asked if he’d like to meet up and I could give him the keys.. He said he wouldn’t be home until late, nobody was home but their young daughter and if I could drop the keys in his mailbox that´d be the best for him.. I said fine, let me know your address and I’ll put the keys in the mailbox.. The following sms conversation ensued.. I couldn’t resist sending the last sms later that night.. my wife says I’m cynical and paranoid and told me to admire the faith people have in the goodness in society. Needless to say I never received a reply for my last sms, possibly because I sound like a creep, but I hope its out of the guys realization of the possible outcome ones choices could have. Either way, maybe we both learnt something today. According to research done by the Timbuktu Research Center the following countries are the top 10 poorest countries in the world. The research was conducted in conjunction with the University of Jedha and the Council of Supreme Knowledge and Intellect. My IMDb ratings have hit 1000+, sometimes we argue why I’ve given a certain rating to a movie. I am still not dead inside so my emotions can tend to factor in on how I rate a movie and what mood I was in when I rated the movie, eventually the after-taste matters. But here is how I grade my ratings scale..
1-2-3 is wtf why did I do this to my self stopped half way.. consciously not completed… reserved for classics such as twilight amongst others..
4 is made me fall asleep didn’t bother to complete if I woke up..
8 is very good can easily re-watch with someone else or alone.. I would always prefer visiting a city where there aren’t any tourist buses polluting the city – visually. hordes of tourists are the worst thing you should have to bear while visiting a foreign city. Day1: Stay at a B&B over night: some good ones i have experienced. Italian Break fast – a croissant and a cappuccino..
Day2: MAKE SURE YOU DONT ENTER THE ZTL ZONES with your car, this will cost you. Day2: Morning to at most 1300hrs – walk to the Piazza del Duomo, take the typical picture holding up the tower of Pisa – the piazza is a very touristic spot and can be quite crowded depending on the season. Day2: Try to leave Pisa before lunch aiming for Lunch in Florence. Day2: Here is a guideline for the trip: http://wikitravel.org/en/Florence and my recommended order to visit, drive until Piazza Francesco Ferrucci, park there and walk from there. Day2: Reach Siena check in to Hotel Duomo, ask for the rooms across the street from the reception as it has been restored in its 12th century style plus it has a kitchenette and private garden. Day2: Book a table for day3 or 4 at the Osteria Nonna Gina, Pian dei Mantellini 2, 53100 Siena SI, its almost impossible to get a table on arrival. 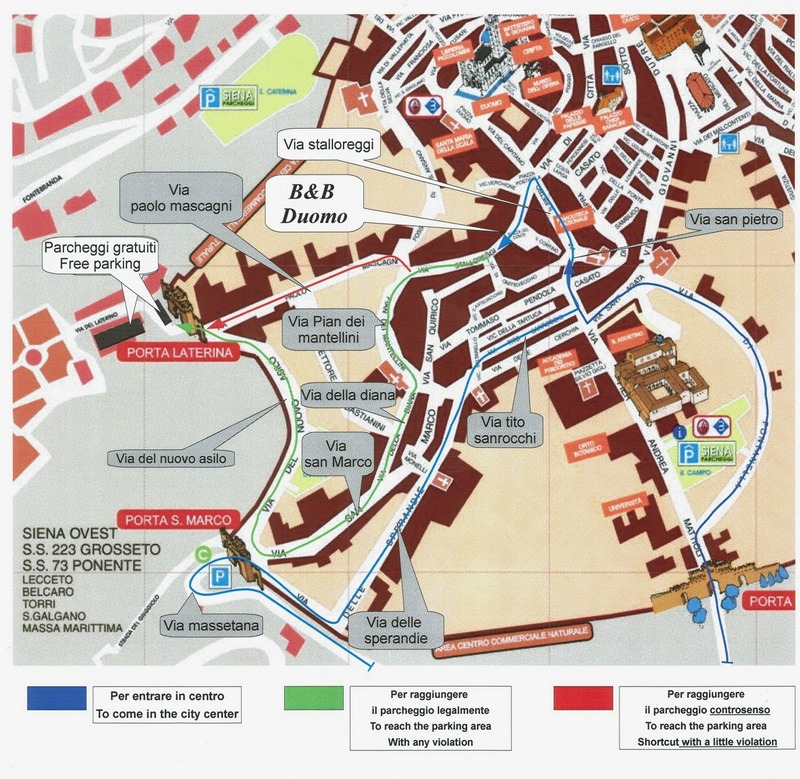 Day5: Leave Siena for the Airport at Pisa – give your self 2 hours to reach there. BONUS: Have lunch on the way to Pisa at Dario Cecchini – Butcher of Panzano. Easter is coming and it is a great time to visit and experience the Holy Week in Spain which is the annual commemoration of the Passion of Jesus Christ celebrated by Catholic religious brotherhoods and fraternities that perform penance processions on the streets of almost every Spanish city and town during the last week of Lent, the week immediately before Easter. In 2011 we decided to visit Granada and Cordoba to experience Easter in Spain and here is the itinerary that would be something we would highly recommend. Day1: Pre-book your train journey from Madrid to Cordoba possibly on first class coaches on http://www.renfe.com/EN/viajeros/ these are really good trains which are fast and super comfortable, the Cordoba-Granada-Madrid leg might be on more regular trains, the round trip costed us 68 euro for two people. Day1: Arrive in Cordoba and plan your stay at the: AC Hotel Córdoba by Marriott this is right next to the railway station, since you are staying in Cordoba for just one night this is quite a good place to be staying at. Day2: Wake up, check out from the hotel and ask the front desk to keep your luggage in the baggage room at the hotel until you pick it up in the evening. Day2: Be ready for a nice walk through another historic city, It has been estimated that in the 10th century Córdoba was the most populous city in the world, and under the rule of Caliph Al Hakam II it had also become a centre for education under its Islamic rulers. Al Hakam IIopened many libraries on top of the many medical schools and universities which existed at this time. Such universities contributed towards developments in mathematics and astronomy. During these centuries Córdoba had become the intellectual centre of Europe and was also noted for its predominantly Muslim society that was tolerant toward its minorities. Today it is a moderately sized modern city; its population in 2011 was about 330,000. The historic centre was named a UNESCO World Heritage Site. Day2: Walk through the narrow winding streets of Cordoba to the Mosque–Cathedral of Córdoba. Even now there is an area dedicated for people to offer prayers in the mosque. Day2: Plan to depart from Cordoba to Granada using http://www.renfe.com/EN/viajeros/ you would already have had the booking from day one so you just grab your baggage from the hotel and board the train from the railway station to Granada. Day3: The most important think in Granada to visit is the Alhambra and you must buy tickets in advance from here – you will plan to spend a full there here. You will not regret spending your money here for all the palaces and sites. Day3: After spending the whole day in the Alhambra you will need a good meal for which you can walk down or take the bus to the city at the foot of the hill where Alhambra lies, if you have the energy its not a long walk just a bit steep. Day4: Since you are actually staying at the Alhmabra you will feel quite lucky to be waking up to this historical site, spend some time enjoying the Alhambra from outside and then take a walk down the hill and explore the city. Day5: Relax take the bus or taxi down to the railway station, and then the train from Granada to Madrid-Puerta De Atocha (Railway station) in the evening. Day5: Stay the night and explore Madrid in the evening, and depart in the morning to your next destination – possibly home..
Day5: We decided to stay overnight at Hotel Paseo Del Arte right across the station..
Day6: take the subway and depart from Madrid Airport..
My wife found this really attractive deal to buy Canada Goose jackets on Facebook with more than 80% discounts, she wanted to buy this jacket but was hesitating, so to make her happy I decided to buy the jacket she was looking into. In my hastiness I didn’t do the usual paranoid checks on security and went ahead and just bought the jacket. If there’s any question about the ship date,order quality,cancellations,etc. we suggest you can send inquiries to our after-sales customer service directly to save your time(there is always an email address/”contact us” button on the website), If you couldn’t get a reply from them in time, kindly feel free to contact us based on THIS email,it is easier for our action. Title: Welcome to Web Store! Thanks for your order firstly. If you want to cancel the order, it may need 1-3 months for the different international bank to handle the refund, so we do not suggest you to do so. Please check again your final decision and then reply us soon. Hope your understanding. Thanks for your time and patience. Accompanied by a series of grammatical mistakes and spelling errors, and mention of “international banks” it was obvious I had been duped. 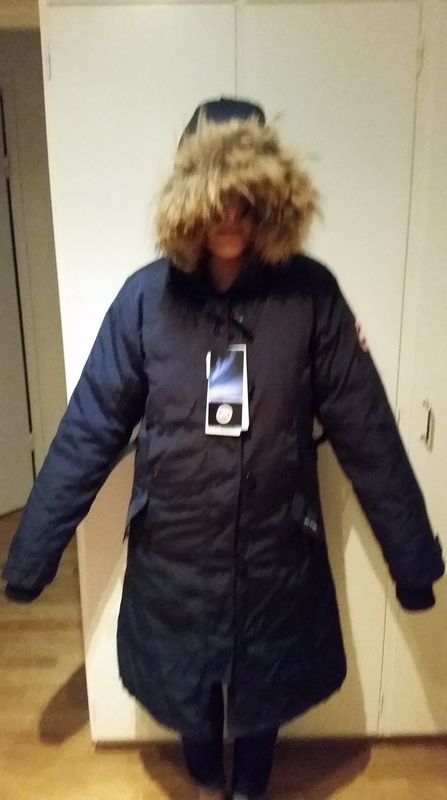 I am still quite sure that if I let the order through I would get A Jacket but instead of goose down it would be filled with chicken feather, instead of coyote fur it would have dog fur and instead of being made by the hard working Canadian folk it would be made in a sweat shop in China. I’m not angry at the online shop that is running this scam, I am angry at myself for not picking up on the series of red flags along the way. I cancelled my credit cards and ordered new ones as my paranoid self was back in action. My lapse in judgement motivated by the love for my wife only tells me that the most paranoid of us can become victims of scams in those moments we let our guard down. This also reaffirms my belief that Facebook is polluted by scams, ads and all that nasty crap that appears after analyzing your browsing trends, targeting unsuspecting and possibly unsophisticated users (like my mother and your mother) preying on the simplicity of common folk. These fake operation use the warmth and security of the Facebook community to make you let your guard down and become a victim of internet fraud. You will receive a jacket.. but beware the customs duties and the fact that there is no way to return it.. and well I have shopped in China during my travels there and this is possibly the lowest level of fakes out there. I wouldn’t be surprised if the fur on the hood is fake or the tail of a dog that just became food.. Here is what you’ll look like this when you wear this polyester filled monstrosity.. size M for women.. 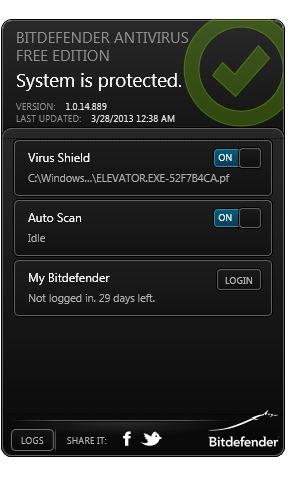 I have been looking for Free antivirus which don’t affect the performance of my machines. The top options as reviewed by techradar and PCMAG are the usual, AVG , Panda and AVAST but this time around I have possibly found the best option out there – Bit Defender. Is effective in catching malware, both from test scores and my personal experience. Found a Trojan on my OneDrive which Microsoft had been missing for weeks..! By logging in with an account of your choosing you get unlimited free protection – otherwise its limited to 30 days and of course the paid version will offer much more in terms of all round protection. For advanced user who are well aware of where not to stray off too and with a decent awareness of the security threats on the internet this definitely a tool that I recommend exploring. To celebrate a friends birthday lets celebrate the first day Wolverine came to life. Wolverine’s full debut in The Incredible Hulk #181 (November 1974). The Incredible Hulk #181 at the Grand Comics Database. I have found an app that has changed my life.. Shush! Ringer Restorer – despite the somewhat corny language it uses.. it has become the one app that is used most frequently. I have been bad at disabling the silent or vibrate mode on my phone, annoying friends and family by being unreachable.. so now each time you set your phone to vibrate the app will ask you when to switch it back on..! Simple and effective and a remarkable 4,7 star rating. It should be built in to every smartphone with quick access functionality, and integrated into the “Do not disturb” (DND) functionality introduced in Android 5.1. Meet and Greet – Engineers Networking.. I am off to network with the engineering community tonight and in a long time I don’t have any company issued business cards. 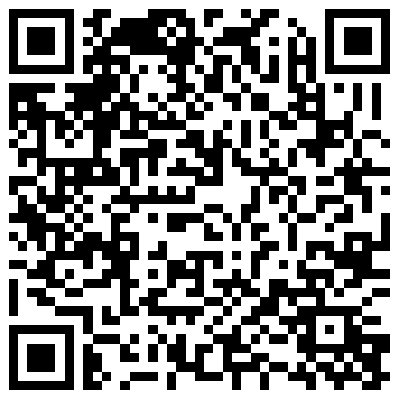 So I went to this really clean website http://goqr.me/ to create a QR code that I would have on my phone for people to scan – yes this sounds nerdy but when everyone has smartphones reading a QR shouldn’t a big deal, we’ll test and see tonight..
Then of course I need to learn to post multiple pictures and see how they will showup on my latest Theme..
Well there’s a limit to what you can do for free but testing a lot of themes to see how things appear. So it turns out not all themes do well with pictures, after a lot of swapping “Baskerville” by Anders Norénone seems to be doing well with both pictures and text as I would like it to be. 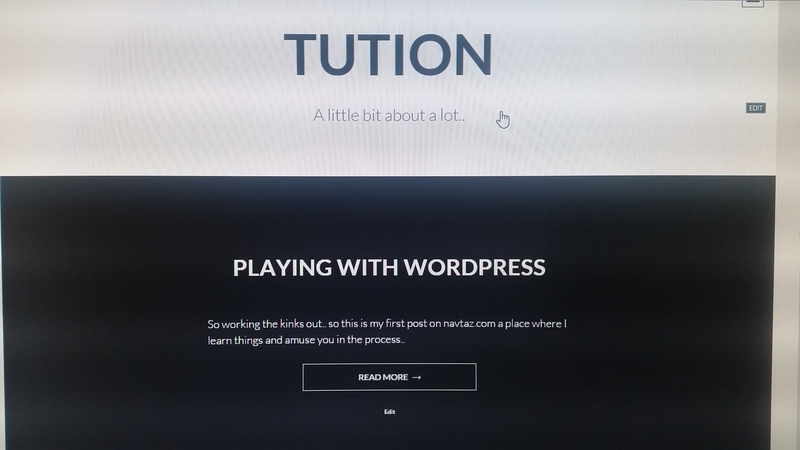 So working the kinks out.. first post on navtaz.com a place where I learn things and amuse you in the process..